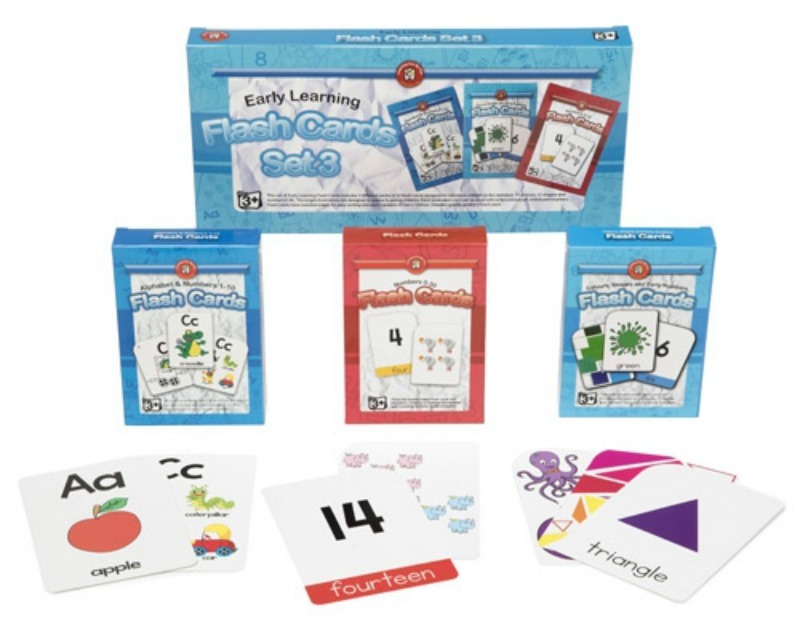 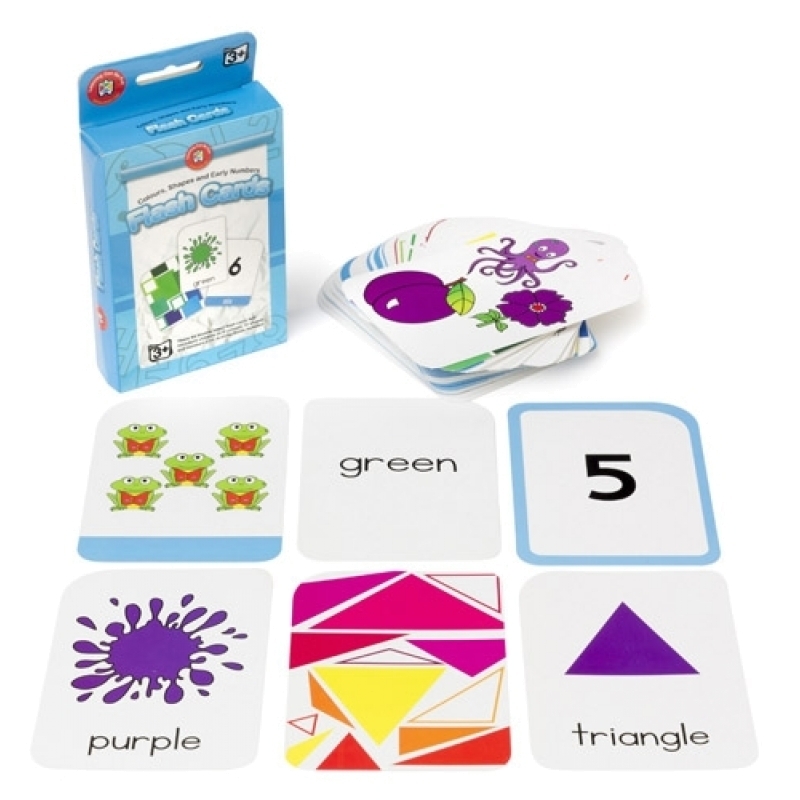 This set of Early Learning Flash Cards is a great start for eager young minds to start exploring colours, shapes, numbers and the alphabet. 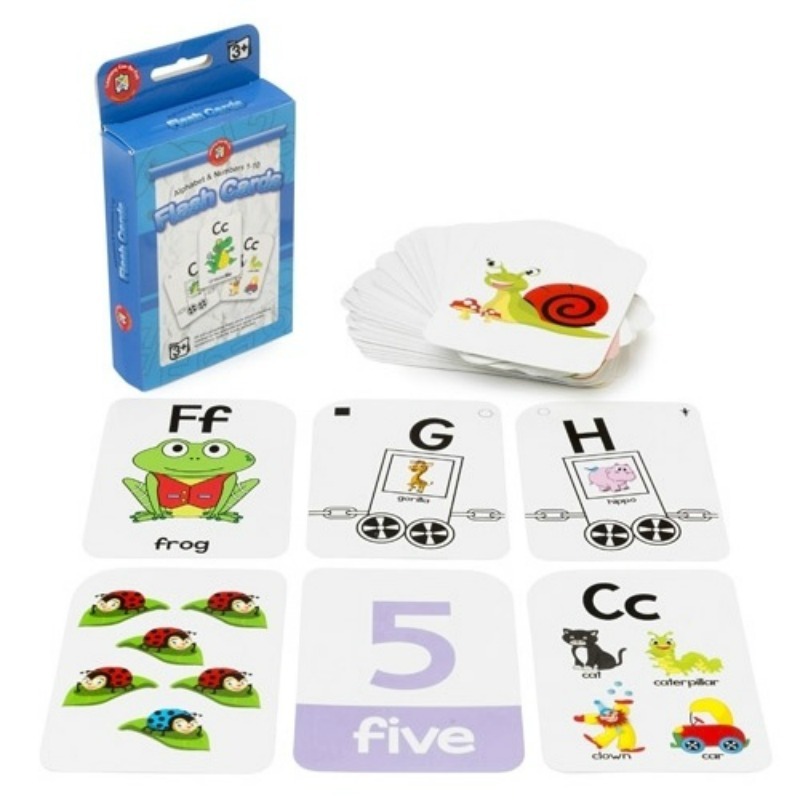 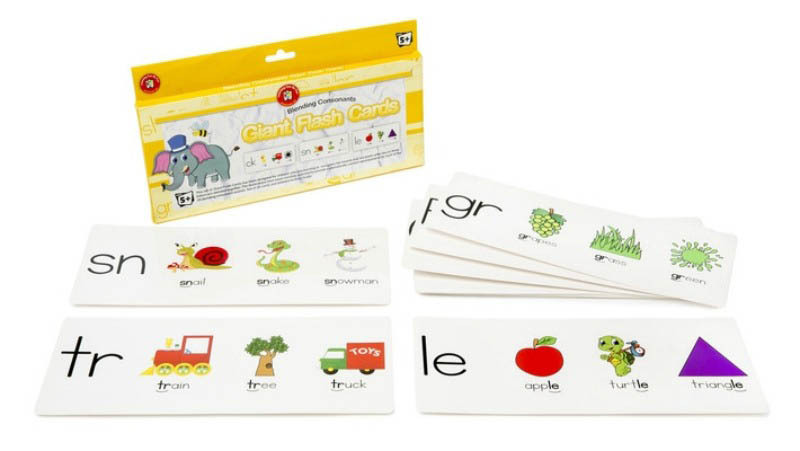 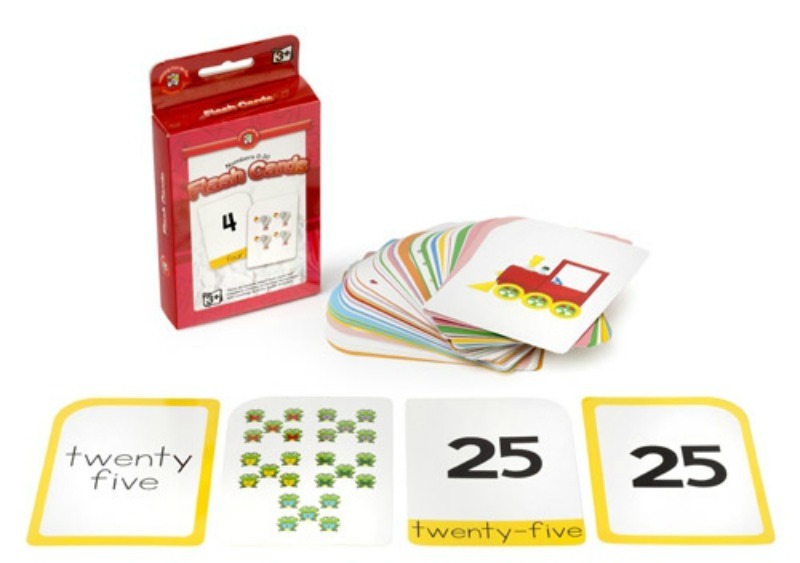 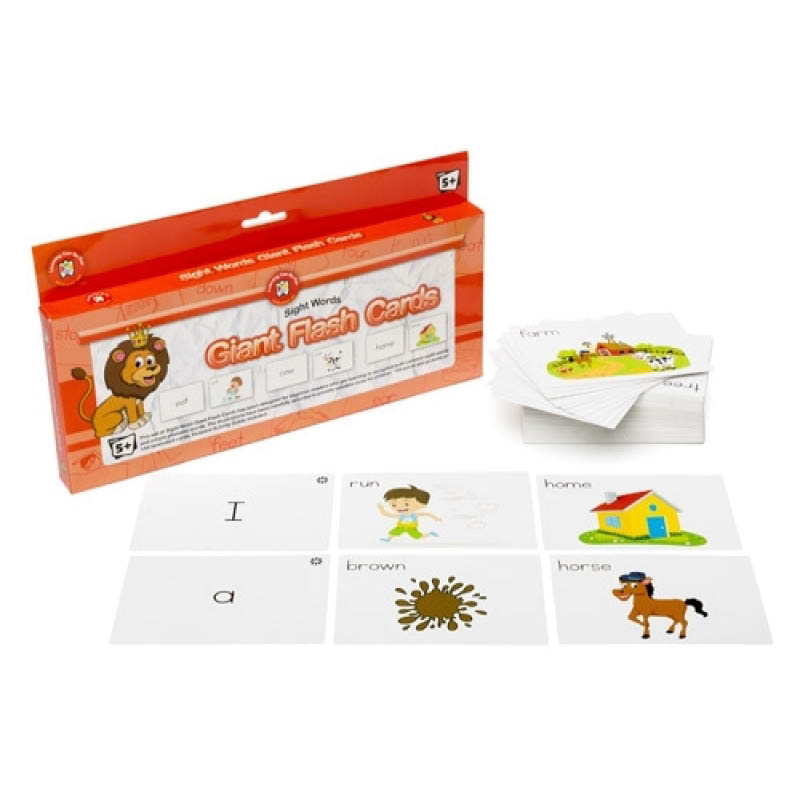 The set includes 3 different packs of 65 Flash Cards designed to introduce children to the alphabet, 11 colours, 10 shapes and numbers 0-30. 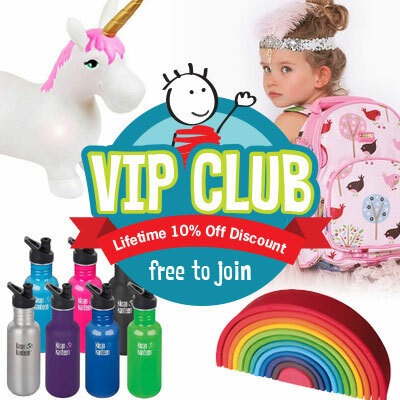 The bright, fun illustrations are designed to appeal to young children, stimulating visually to encourage learning. 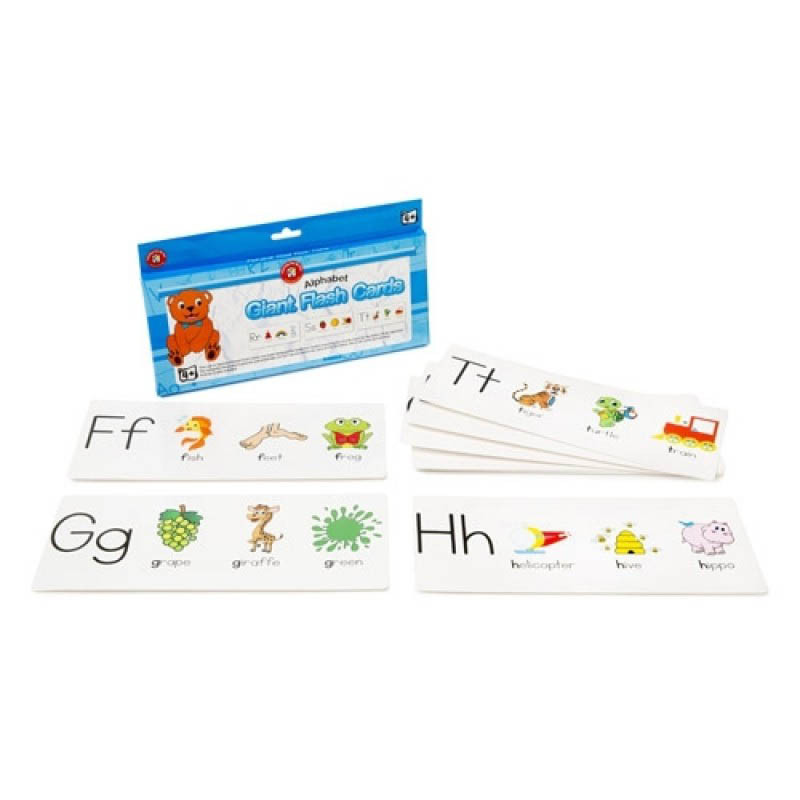 Each laminated card can be used with write-on/wipe-off whiteboard markers (not included). 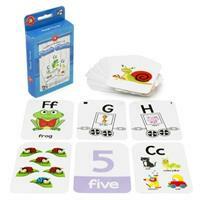 Flash Cards have round edges for easy sorting and each measures 8.7cm x 12.3cm.